We just lost our fleece! After selling our 130 acre farm in the New York Finger Lakes, we have downsize the farm for a new life style in the Carolinas. 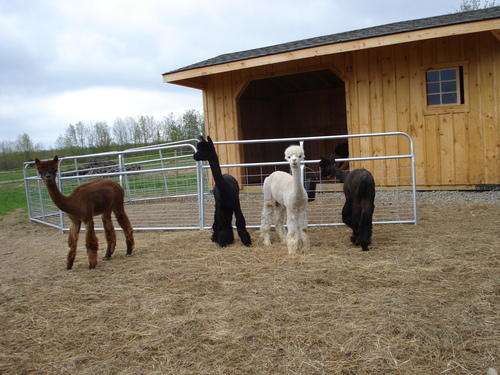 We completed the move to the Mooresville area where we found our new place to raise our alpacas close to where our Saddlebred horses are in training and are involved with the breeding Saddlebreds as well as the alpacas. And of course we need to be near the water. In this new life, we attended our first show on our own at CABO 2014 and showed three animals on our own. 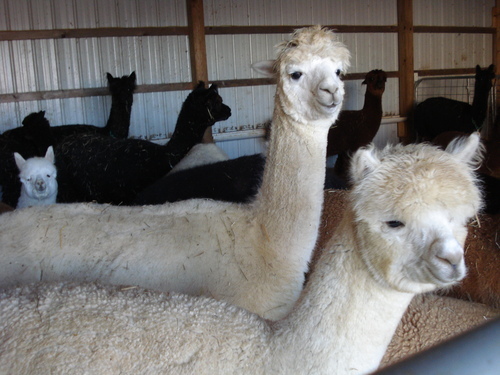 We have had animals for several years, starting with the fleece boys to learn about raising of the alpacas, and the entire new process of breeding. Then came the purchase of several females who were bred, went through the birthing process, then purchased a couple junior sires. We now have several outstanding seed stock breeding sires all with ribbons, banners, and excellent low micron fleeces. Shows have become a way of life now getting all the crias ready for the showring and promoting our herd sires. We usually come home with some ribbons, in extremely large tough classes. We have also done some outside breeding and are awaiting crias to arrive in the new schedule--most in the spring. Since our move we have attended many more shows, met some fantastic alpaca people, attended seminars, and continue to learn more alpacas. We have gathered quite a few banners, blue ribbons, and new cries from our show girls that retired to the breeding herd. And now a new crop of crias will arrived soon. The spring crias will start halter training shortly to be ready for the next show season. We have stocked Cleo's Country Cottage with our newly received 2017 yarn from the fiber mill along with hand-made alpaca products created with our own yarn. 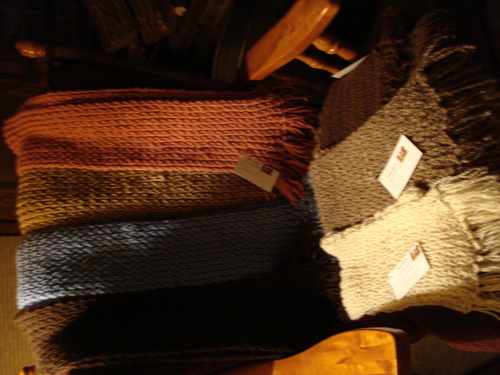 We have lots of unique items in the cottage. We have added goat milk soap, felted fragrant goat milk soap, goat milk hand soap also for you to enjoy. We have BugOff lotion that will repel the mosquitoes and has been strengthen to help repel the Zika virus. We do have animals for sale and sires for breeding. Stop by and see us at the new farm. The Country Cottage is now open!! We can work with you to secure some good animals that will meet your financial needs. Merry Christmas to all our alpaca friends and families. Winter has arrived and the animals are piling on lots of fleece for the winter. We have a few beautiful fiber boys/ neutered pet boys that need to find a new home to make room for our spring cria crop that will be coming soon. We have a choice of color as well as age. 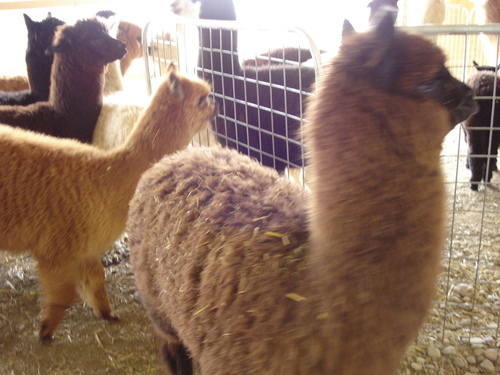 At the farm, we have animals available for sale; some ready for the show, some to just handle, some bred, some bred with crias at side, others ready to breed and many to help you learn about the care of alpacas. Come see all the alpacas, the crias, the alpaca products along with the goat milk products using the alpaca fleece, goat milk BugOff Lotion that will repel the mosquitoes, other lotions, hand soap, and felted soaps as well as all the yarn, knitted items, socks, scarves, blankets, rugs, hats, jackets, fingerless gloves, and raw fleece and more raw fleece ready to shirt and prepare for the spring show season. We also have Alpaca Tea for your house plants, and Alpaca Plant Passion for indoor or outdoor fertilization for plants. And you can get it by the truck load for your garden where it will enhance the growth of your plants right away.